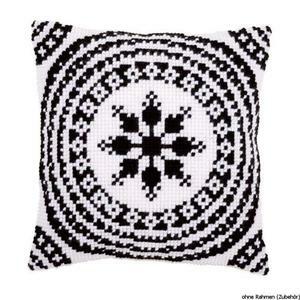 White & Black Printed Chunky Cross Stitch Kit 40x40cm The kit contains hand painted canvas for easy stitching, needle and acrylic yarn. 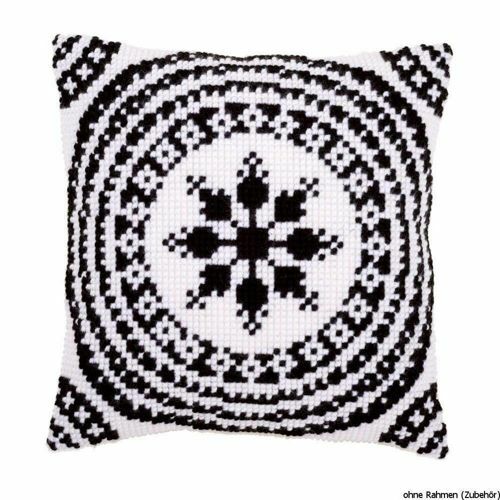 These kits are worked in cross stitch using chunky acrylic yarn onto a 4.5 hpi printed canvas Completed item is 40x40cm 4.5 holes per inch count Please note; Vervaco kits have the design handpainted onto the canvas itself. There are no charts or stand alone patterns to follow. This makes them uncomplicated to complete without detracting from the beauty of the finished item.